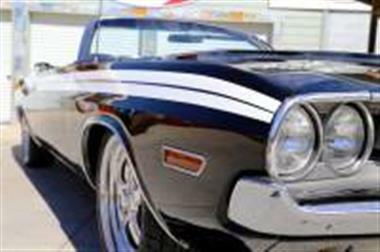 Most All of Our Auctions End Early</p> <p>Call Us for A Great Price</p> <p>865 988 8088</p> <p>Up for sale we have a 1971 Dodge Challenger Convertible. This is a rare car being 1 of only 16 ever built as it was optioned. Its believe to be only 1 of 1 with these options and done in the Triple Black. 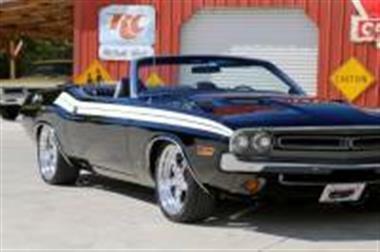 In 71 you could not order an RT in the in the convertible so this is close as you could get. 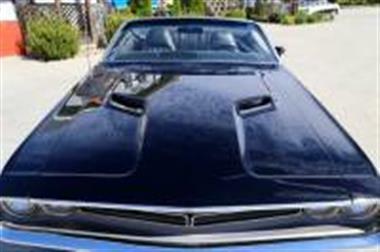 This car was featured for Muscle Car Review in 2010 and we were told is only a one repaint car. 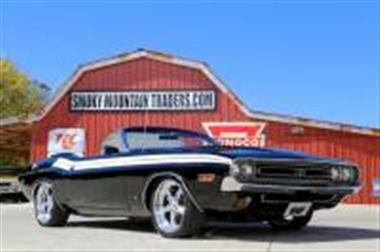 In the paragraphs to follow we will give a brief description of the exteriorand#44; interiorand#44; and driveline of the Dodgeand#44; but first we would like to tell you a little about us.<br /> Smoky Mountain Traders is a classic car dealer in east Tennessee. 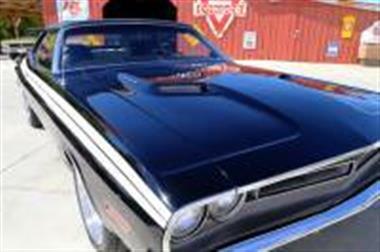 We are family ownedand#44; operatedand#44; and own our entire inventoryand#44; no consignmentsand#44; and only deal in muscle cars and vintage auto. You can count on us to have 70 to 80 cars at all times. We dont have a big show room that our customers would otherwise pay for. Soand#44; thats how we can sell for less than other dealers. To contact us for more informationand#44; picturesand#44; or any questions call our office at (865)988-8088 or visit our SmokyMountainTraders website. 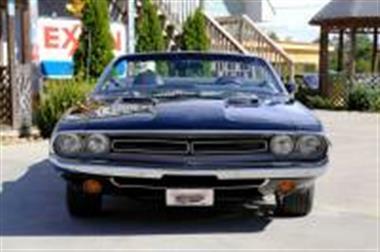 <br /> We will start off with the exterior of the Challenger. When you look down the sides you will like what you see with it being arrow straight along with good gaps and panel fit. This Car has the J54 Sport Hood and along with the M41 and M42 Dual Exhaust with sport tips. Also it has the remote sport mirror. The body is covered in the Black that is accented by the V7W- White Accent Stripe. The paint looks very good with a deep rich shine that is slick to the touch. All the glass looks good as does the stainless trim. The bumpers look like new and it has the deluxe convertible top thats black along with the black Boot. All the weather stripping appears to be in great shape. To give it a more modern look its sitting on at a set of 18 and 20 Billet Specialty Wheels with new tires. <br /> Nextand#44; we will take a look at the interior of the Convertible. On the inside it all appears stock. It has the black bucket seatsand#44; consoleand#44; carpetand#44; and door panels. The carpet appears to have been changed at some point. The Door panelsand#44; Consoleand#44; and Dash have the Wood Grain accent thats pulled together with the Wood Sport Steering Wheel. 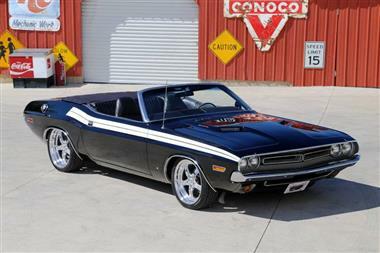 This Challenger has the Rally Dash with a 5000 Red Line Tach. Alsoand#44; it has the factory 3 Speed Shifter and the Stock AM radio. <br /> Finallyand#44; we will take a look at the drivetrain of the Dodge. Under the hood it has the 340 Engine thats dressed with an Aluminum Edelbrock and Holley Carb. The engine is mated to the Three Speed Trans which is correct for this car. The engine has stock manifolds with duals. The rear end is the 8 ¾ Sure Grip with a 3.55 gear. 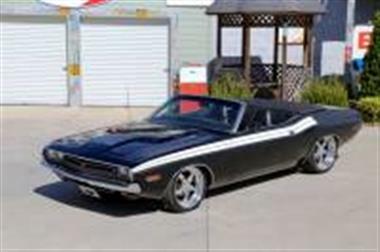 This Challenger does have Power Steering as well as Power Brakes with Disc up front. When you look under this ride the floors look great and the still have the factory coating. <br /> If we can help you in any way with questions or a specific pictureand#44; you can call our office at (865)988-8088. Or feel free to call Daniel at (423) 807 0600and#44; Devvin at (865) 256 2366and#44; or you can e-mail us at [ email ].